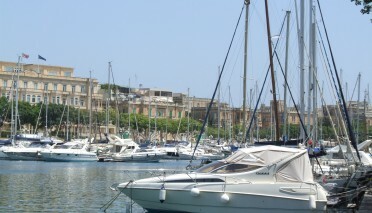 Bugibba, with Qawra is Malta’s largest seaside resort town with numerous accommodations ranging from four star hotels to apart hotels. The coastline promenade stretches a few kilometres from SalinaBay to St Paul’s Bay taking in some of the Islands’ best open sea views and the protected Islands of St Paul. 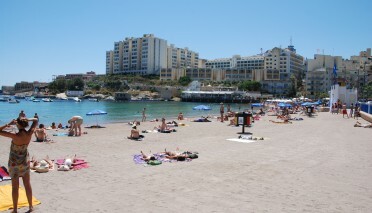 The shore is mainly rocky and used for sun bathing. The water is deep, but clean, clear and safe for bathing. Bugibba Perched Beach is another beach replenished with artificial sand. 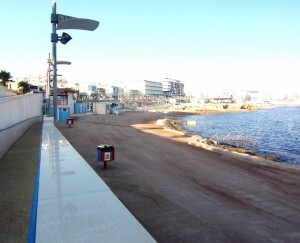 It lies along the promenade, in the midst of tourist accommodations. Before the intervention, the beach was a linear rocky shore with a sharp rock surface. When sand was being considered, the beach was planned to be totally reversible and should the need arise, the rocky coastal stretch will return to its original geological form. 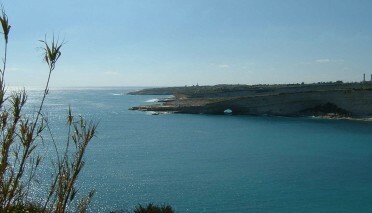 2000 square metres of the rocky coast were transformed into a sandy beach, perched above the sea level. 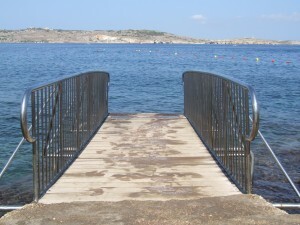 Bridges and ladders were introduced to facilitate access in and out of the water. 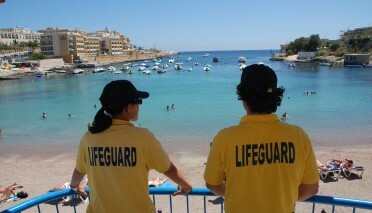 Full beach management takes place on Bugibba Perched Beach from the 15th of June to the 15th of September. 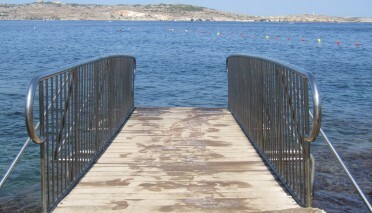 In 2011 the Beach was awarded a Blue Flag while in 2012 it is again being awarded the Blue Flag.